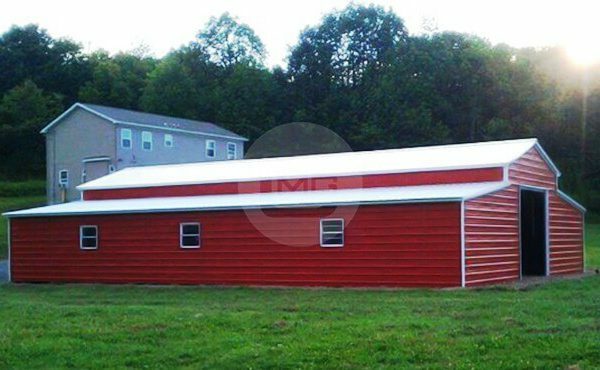 This 44x62x12/8′ red Carolina barn boasts a charming, traditional look with the benefit of the durability of 14-gauge steel construction. 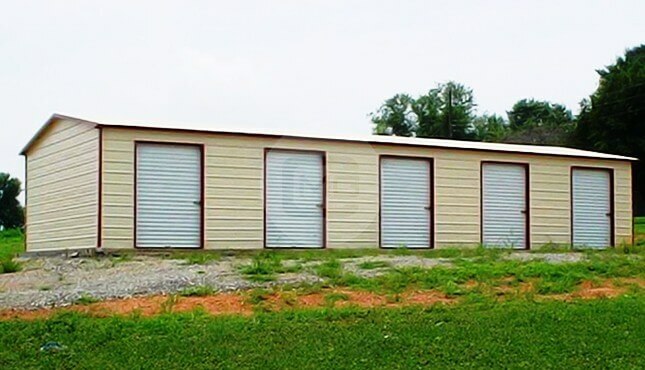 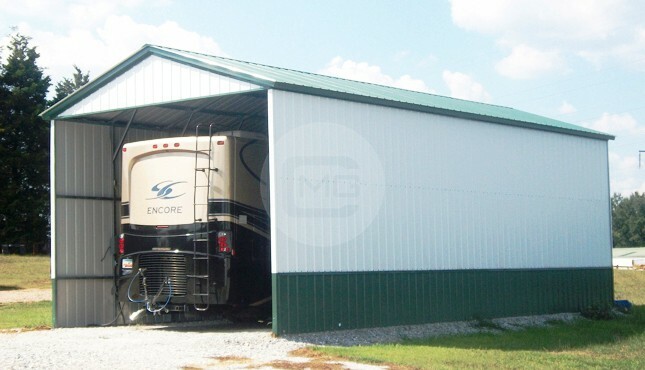 With its two 10×10′ roll-up doors in the 12′ high center section and three windows on each 12x62x8′ sides the fully enclosed metal barn is an ideal way to keep your animals, supplies, and equipment safe and dry while allowing ample opportunity for natural light and ventilation for warmer weather. 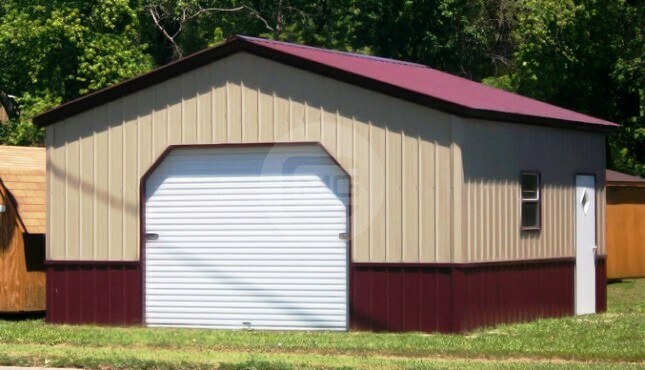 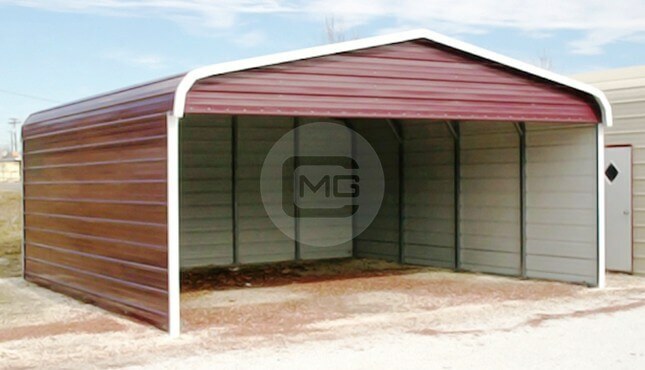 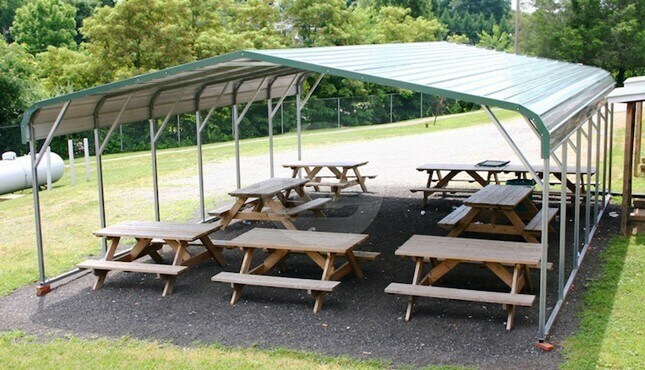 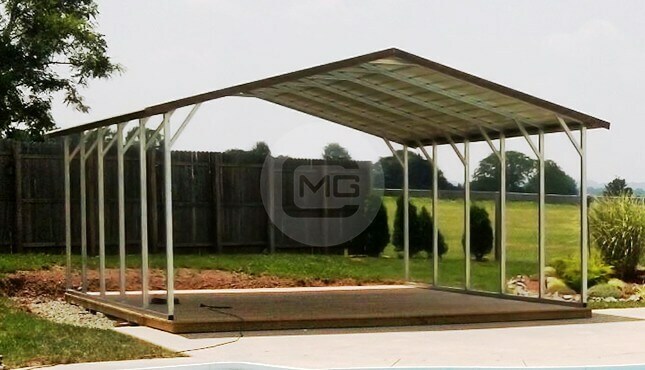 This A-Frame metal barn has horizontal side and roof panels and is best suited for locations that don’t receive heavy amounts of rain or snowfall.